Firstly, your Editor extends his apologies to the grammarians (of which there are many) amongst British Gazette readers who will have had their hackles raised by the use of the double negative in today’s title! In mitigation, your Editor would state that he is not the author but is merely acting as a conduit! The perpetrator of this offence against the English language might be Dutch! Certainly, their employers are! These being the ING Group. The ING Groep is a Dutch multinational banking and financial services corporation whose headquarters are in Amsterdam. Its primary businesses are retail banking, direct banking, commercial banking, investment banking, asset management, and insurance services. ING is an abbreviation for Internationale Nederlanden Groep. 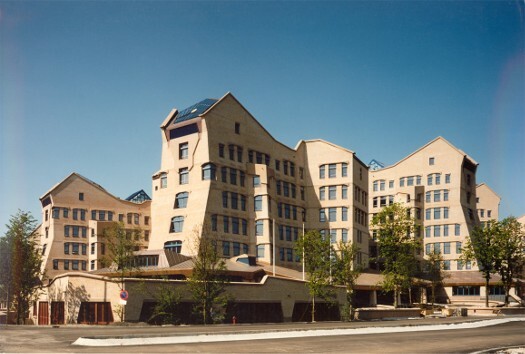 Their head office (the above image) is ING Groep N.V. Amsterdamse Poort Bijlmerplein 888 1102 MG Amsterdam The Netherlands. Naturally, the Guardian reports this with some – politely repressed – glee! This is because they think (correctly) that this will severely hamper the Leave campaign. They are hoping (a hope built upon sure foundations) that turmoil in the markets and a collapsing pound together with dire warnings from credit agencies that the UK’s credit rating will be downgraded should the British People have the brazen audacity to vote for a restoration of lawful government! NB: It is the bounden duty of ALL law abiding British Citizens to vote for the UK to leave the EU. Because UK membership of the EU is unlawful as Privy Councillors take an oath before the Queen pledging to ensure that no foreign prince, potentate of power shall have precedence in this land and then preside over a situation where this happens with the EU making three quarters of all the laws and regulations governing this formerly sovereign state. Further more this puts the Queen in breach of her Coronation Oath, pursuant to the Coronation Oath Act 1953 in which she undertook [through her governments] to govern us according to OUR LAWS and CUSTOMS – not those of the EU! Now of course, it is a FACT that IF all the leave campaigners including a certain Alexander Boris de Pfeffel Johnson, put forward Flexcit as an exit strategy, the vast majority (99% +) of voters will not read a word of it!!!!!! Because such as the author of that ING research note will! Unpalatable FACT: IF the Leave campaigns (note the plural!) FAIL to present a practical, “do-able” exit strategy to the MARKETS – ignore the voters – they will LOOSE! This is because the vast majority of voters will completely ignore the trifling matter that the government of this formerly sovereign state is unlawful!!!!!!! Instead they will vote with their pocket. If they conclude that their economic welfare is threatened by Brexit, they will vote to stay in the EU. It was my understanding that the financial system does not like zero inflation, especially the negative interest rates that will follow if inflation drops any further. A sinking pound therefore is what they want: inflation up. And now they’re getting it.